Gaston Rivero is a spinto tenor from Uruguay who has thrilled the audiences for quite a few years, bringing his commanding physical persona and his potent lyrical voice to many stages all over the world. 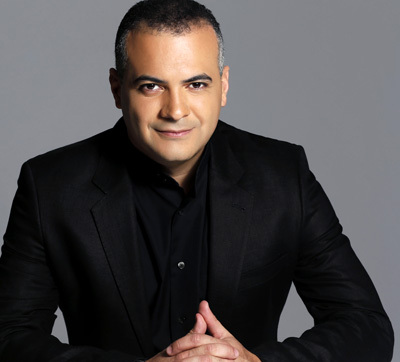 He is a first choice tenor for many opera houses and he has many upcoming surprises for his fans all over Europe: Aida, Luisa Miller, Carmen… While singing in La Traviata in Israel, he was kind enough to give Operamylove an exclusive interview. I am sure the readers will be as delighted as I was with his thought-provoking answers. 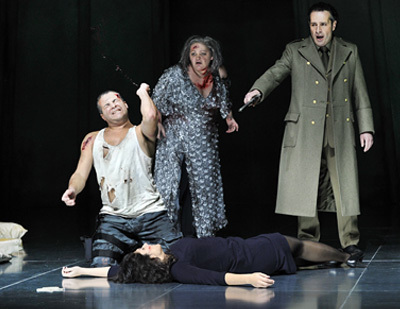 Operamylove: Manrico, Cavaradossi, Ismaele… you sang a lot of parts through the years. Which part did you find the most challenging as a singer? Which character you felt was the most intriguing to play? 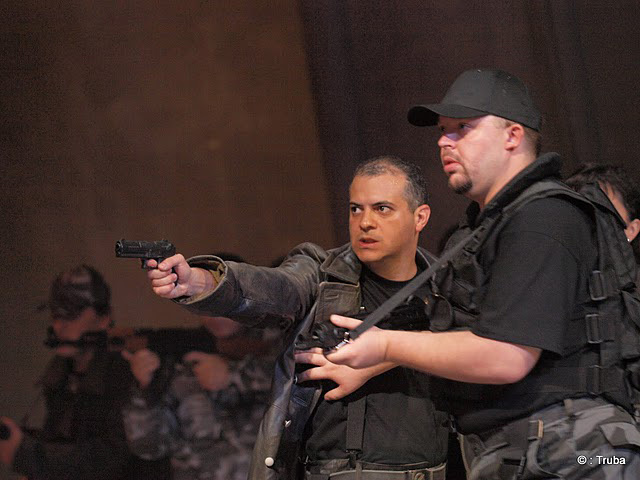 Gaston Rivero: Personally the most challenging role I have in my repertory and I performed in several productions is Manrico in Il Trovatore. It deserves a lyric, spinto and dramatic Tenor, flexible with a solid center of the voice and good quality high notes, so to sing this role well is a real challenge. Audiences and critics will be judging you for your whole performance, just if the high C in the Caballeta goes wrong (something that is not even written in the original score but is tradition to sing). If it is the case that the production has a lot of action and you want to bring excitement to the audiences showing your skills as an actor, you will certainly lose four pounds after each performance. I sang this role for the first time in Klagenfurt, when I still was 32 years old, and I can assure that I was able to do it thanks to the training and strategy of my vocal teacher and coach in NYC. Anyway, at the moment my favorite role to sing is Radames in Aida, the melodies are sublime and I identify a lot with the character. Operamylove: Which conductor you found yourself the most at ease with? Why? Gaston Rivero: There are four that I must mention as the top conductors I met in my career and they are Daniel Baremboin, Ulf Schirmer, Anthony Bramall and Israel Gursky; they enjoy making music, they love good voices, high notes and great singing. Therefore, you feel accompanied at all times, supported by them while acting. Daniel Baremboin is so amazing that only with one look from him you know what to do, how and when to approach a note, and during the arias or solo sections he will give you all you need in order to make music shine. We did together Il Trovatore in an unforgettable production by Stölzl with Placido Domingo, Anna Netrebko and Marina Prudenskaya, and it was certainly a pleasure to work with Maestro Baremboin. Ulf Schirmer has been supporting me a lot in Europe for several years; he opened his opera house for me in Leipzig and gave me the opportunity to debut roles and perform in concerts. Mto. Bramall is a conductor that knows very well how difficult it is to be an opera singer, and how many challenges we are facing while we are on stage; he is a conductor who you can be 100% sure that if he says that you are doing something wrong, he is right. Israel Gursky is not just an extremely talented young conductor but also a very close friend of mine, most of my early training I received from him and my first steps in my professional career were following his advice. We worked together several times but one of the most memorable performances we did together was Romeo et Juliette by Gounod at Portopera in Maine, I never saw so many people crying in the audience by the end of the performance; it was an experience that I’ll never forget. Now I’m on my way to Israel in order to meet Mto. Zubin Mehta for the first time, I’m sure that his name should be also added to this list. Operamylove: You were mentored by Eugene Kohn. How much did that influence you and how? Gaston Rivero: Eugene Kohn was for me like Master Yoda for Luke Skywalker. He offered me his friendship as well as an undoubted solid technique that becomes stronger through the years. Even though I was a professional soccer player during my early teens in Argentina, I stopped almost completely from exercising at 26 years, and old I found myself a little overweight. I remember that after my first Don José, at around that age, I felt as though I would need one month vacation. Eugene not only trained me in my vocal technique, but also pushed my physical strength to the limits, making me run the whole Central Park (6 miles) after a 2-hours intensive lesson. I follow this schedule at least three times a week. Those lessons were priceless; there is no amount a singer can pay in order to receive such a high level of vocal training from someone with this kind of knowledge. He worked close to Maria Callas, Placido Domingo, Luciano Pavarotti, Corelli, Freni, Millo, Bergonzi, Tebaldi, and so many other great singers. Therefore, if I must be honest, I owe 70% of my success on stage to his solid “boot camp” training. Operamylove: You received a lot of awards. Could you tell our readers about some of these awards’ difficulty level and features, and whether you consider one of them more significant to you or your career than the others? Gaston Rivero: From 2002 to 2009 I won prizes in over 30 vocal competitions. I never saw them neither as the last station in this career, nor as a guarantee of overnight success and fame. Competitions for me were a door to make connections and some money in order to pay for lessons. Anyway, I must assure you that each competition gave me back something that was more valuable than a prize, self-confidence. After Operalia I received an invitation to sing Il Trovatore in Bordeaux, after BBC Cardiff I received an invitation to make my European debut in Nuremberg, after the Fritz and Lavinia Jensen Foundation I made my debut at Opera Carolina, after the Belvedere competition I received an invitation to sing Aida in Klagenfurt, after the Palm Beach Opera competition I made my debut in that house as Alfredo in La Traviata and I should also mention the Puccini Foundation, Gerda Lissner, Classical Productions, Giulio Gari, Opera Index, Opera Foundation among others that during those years gave me scholarships in order to keep improving my singing. Operamylove: Which composer do you consider the closest to your heart and why? Gaston Rivero: Mozart; he is the top composer for me. So much hope and love are written in his music; so much passion for life. He is, in my opinion, the biggest proof in the world of music that love and talent can triumph against mediocrity even after life. Operamylove: Which one is the part that you have never played but you would love to be offered? Why? Gaston Rivero: There are two roles that I was never offered yet and I would love to sing someday. 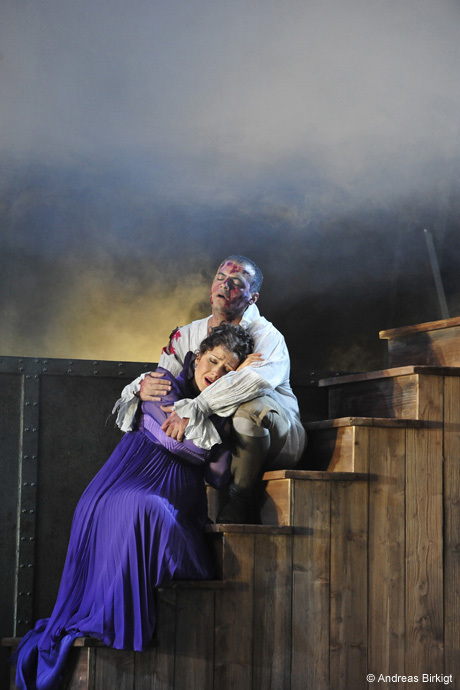 The first one is Hoffmann; I love the evolution in this character and his deep emotions searching for love. The second role is Othello, but it is too soon, I still need more maturity in order to face this challenge. This is the role my father was preparing when I decided to become an opera singer. Unfortunately, because of family problems, he was never able to sing it. So it is kind of a challenge I have in front of me. Operamylove: You sang in many theaters; could you give us a feedback of their differences, whether in their set-up or in the response of the spectators? Which theater would you consider the most rewarding for you and why? Gaston Rivero: Audiences are like blind dates. You never know what to expect. It doesn’t matter if you are in your home country, or surrounded by many friends. The answer you will receive depends on your skills seducing the audience and the audience’s knowledge. You also depend a lot on the team work you will do with your colleagues in order to achieve success. Anyway, under any circumstances friendly theaters with friendly audiences will give you a lot of pleasure, while tough theaters with more challenging audiences will make you stronger. 1 Response to 2014/1: INTERVIEW WITH THE TENOR GASTON RIVERO.